I know as a woman in my forties, who grew up pretty close to eastern Washington’s version of wine country, this is blasphemous to say, but a wine tasting doesn’t appeal to me in the least. The idea of a tasting is pretty cool; I’d just rather taste more unconventional things. 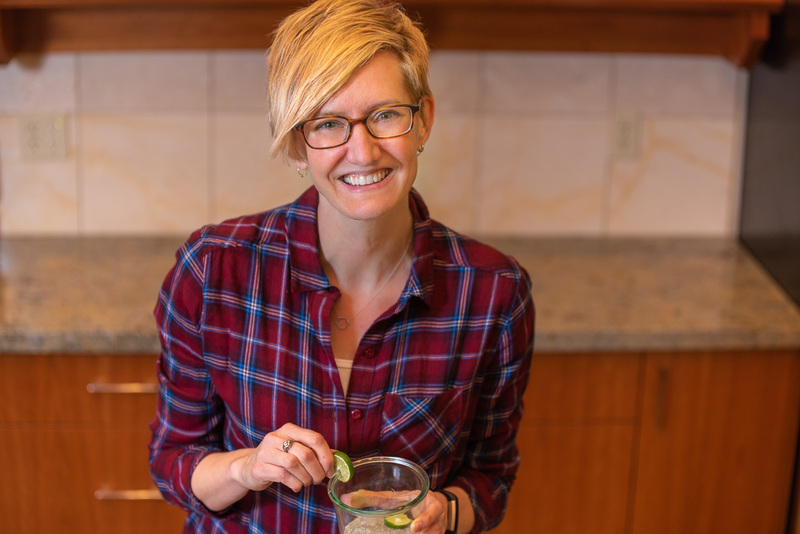 I happily sampled 13 flavors of hand-made artisanal ice cream once, and when I had the opportunity to participate in an olive oil tasting at last summer’s International Food Blogger Conference (IFBC) I was thrilled. Bring on the overpours, spittoons, and palate cleansers! We were instructed to swirl, smell, slurp, and swallow our five greenish samples, just like the pros. I swirled the contents of my tiny plastic cup, then barely peeled open the lid right under my nose and took a sniff. It was lovely, and kind of fruity. For the slurping, they advised generously and impolitely sucking in air alongside the oil which COMPLETELY amped up the flavor. They gave us a tasting wheel to help pick the perfect descriptive word. Was it pungent? Peppery? Perfumed? Was it reminiscent of green apple, green tomato or green tea? Mostly I would say it tasted grassy, but a very fresh and pleasant grassy. Is it a healthy choice? Definitely. Olive oil is a liquid fat, and liquid fats are generally better choices than solid fats (like butter, shortening or stick margarine). Liquid fats are generally monounsaturated or polyunsaturated, while solid fats are generally saturated (it helps to remember “s” for “solid” and “saturated”). Olive oil is considered a monounsaturated fat, because that’s its predominant fatty acid make-up, but it has a bit of saturated and polyunsaturated fat in there as well. Most fats are a mixture of all three types. The 14 grams of total fat in 1 tablespoon come from 10 g mono, 2 g saturated, and 2 g poly. Monounsaturated and polyunsaturated fats seems to actually lower “bad” cholesterol in the blood, also known as LDL. 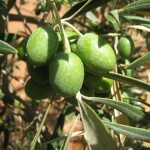 And, since olive oil comes from a plant food, it doesn’t have any dietary cholesterol. In fact, the 2010 Dietary Guidelines suggest swapping your fats by replacing solids with liquids when cooking and baking. Olive oil is also one of the staple foods in the Mediterranean Diet, which seems to be pretty fantastic in terms of health benefits. In its recent rating of diets, U.S. News and World Report ranked the Mediterranean Diet as the #1 plant-based diet, but also labeled it as one of the Best Diets Overall and Best Heart-Healthy Diets. There’s also some preliminary research suggesting that olive oil might have anti-inflammatory effects in the body which could impact a whole host of diseases like rheumatoid arthritis, heart disease, and metabolic syndrome. 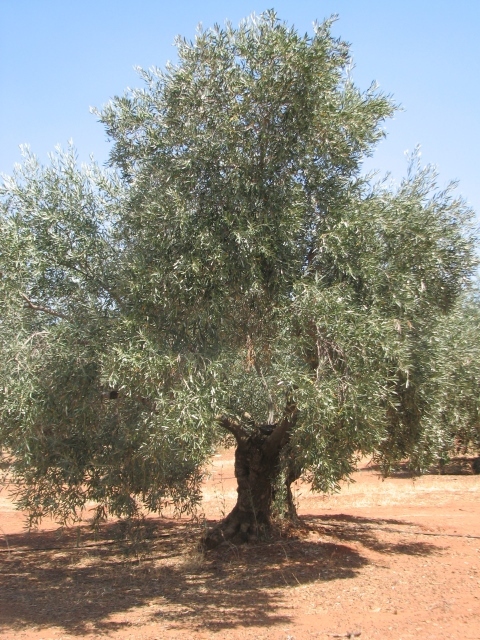 We came across the beautiful olive tree on a trip to Spain. Turns out Italy’s not the only Mediterranean country that knows how to juice these fruits. Great! Since it’s a healthy choice, does that mean I can use all I want? Not really. If you’re going to use a fat, it’s a good one to use. But somehow the message that it’s a healthy choice gets translated in our minds to “Hooray! I can throw portion control out the window with this one!” Even though it’s a really, really good fat, it’s still 100% fat, which means it’s high in calories. One tablespoon has 125 calories, so use judiciously. How is extra virgin olive oil different? 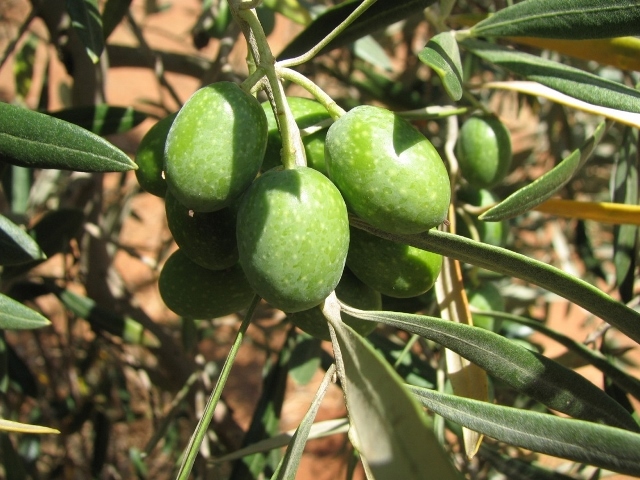 Extra virgin oil comes from the first pressing of the olives and must meet exacting standards; it’s considered the highest grade of olive oil. Can one kind of olive oil meet all my olive oil needs? That depends. If you spend more money to get a fantastically flavored bottle of extra virgin oil, I’d use this for dipping your baguette, as a base for salad dressings or sauces, or as a finishing oil on a bowl of soup or platter of roasted vegetables. If you’re going to fry in it, which I wouldn’t recommend doing too often for general health reasons, a less expensive olive oil would work well. So for some households, that would mean keeping two (or more) different bottles on hand. COR recommends storing your olive oil somewhere away from light and heat, so next to the stove isn’t ideal. A dark pantry or cupboard would work great. For cost savings, I’ve been buying the big bottles at Costco, storing them in the refrigerator, and using them to fill a smaller bottle we keep on the counter within easy reach of cooking. But the COR folks are sticklers. They said refrigeration will make the oil cloudy and possibly mellow the flavor, although I’ve read elsewhere that this is an acceptable way to store it. Look for a “best if used by” date if you can find one on your bottle, but expect that it will last for 1-2 months after it’s been opened and 1-2 years unopened. 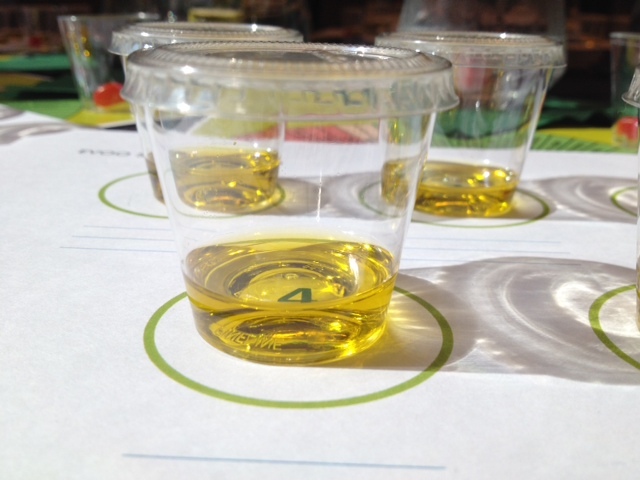 Which kind of olive oil tastes the best? That’s likely a very personal choice, since we all have different preferences. However, some experts have weighed in on the topic. The last time Consumer Reports rated olive oils was in September 2012. Trader Joe’s California Estate and McEvoy Ranch came out on top. The olive oils from COR were rated “very good”, alongside these widely available Best Buys: Costco’s Kirkland Signature Select Toscano and Whole Foods’ 365 Everyday Value 100% California Unfiltered. You might also check out any local specialty stores for a selection of high quality oils. In Bellingham we’re lucky enough to have Drizzle Olive Oil and Vinegar Tasting Room, with organic, infused, and varietal oils. I’m sure the experts in your neck of the woods would walk you through the basics of finding a new favorite. It’s sort of hard to believe these little green guys have the power to impact our health. And our taste buds. 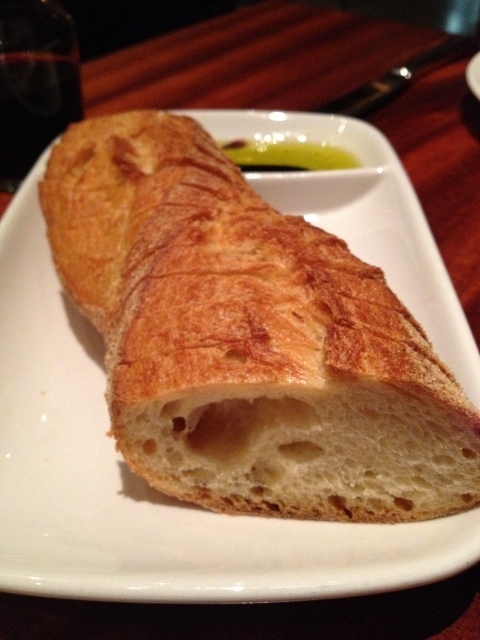 This post doesn’t begin to cover all of the ins and outs of olive oil, but it’s a start. And hopefully I’ve given you reason to reach for this liquid fat more often than other fats. Butter and margarine both have their own problems, so why not skip them altogether and use olive oil instead? 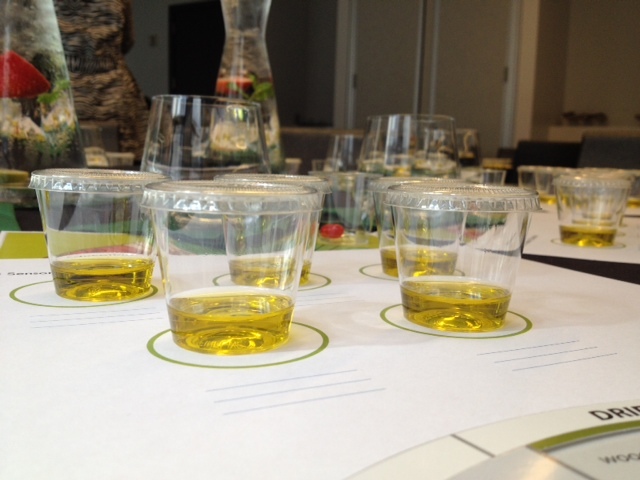 You could even set up your own olive oil tasting. Super Bowl parties will be coming up soon, which seems like a good excuse to pour your friends a round of this healthy green oil…especially if they’re Seahawks fans. How do you make the most of olive oil in your kitchen? Disclaimer: I got to sample COR’s oil as part of a class, but I don’t have any relationship with the company and didn’t receive any monetary compensation for this post. However, I am mentioning IFBC to take advantage of a discounted registration fee for the conference. Thanks! So glad you found it helpful.